Purchased a size up. Good fit and comfortable. Not yet used in wet weather. Only had these boots a few weeks, and so far so good. They were quite stiff to start with, but now softening up and very comfortable, even for walking. Quality seems excellent for the price. 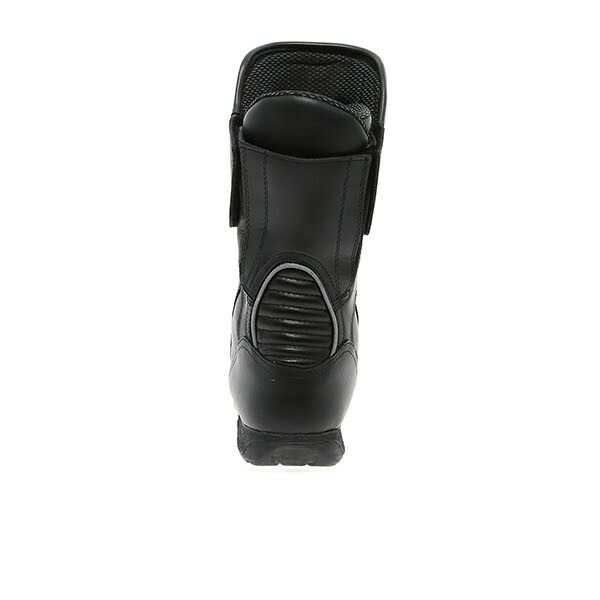 Comfortable from the first wear and decent value for money. Delivery was impeccable and arrived next morning. Boot quality good so far. I use them daily for a 30 minute commute down the M1 & A5 and back. Feet stay warm and dry although not had to put them through a downpour yet. I expect they would stay dry and warm. They've done well during the snow early this week (I stopped riding on Wednesday as the Beast from the East kicked in full force!) My previous pair were RST and lasted me 2 years of daily commuting and a 2 week stint as a bike courier! They had one zip on the inside which I find to be easier than these to wield. In particular I find the outside zip hardest to pull up. Maybe it will get easier as I wear them in. Maybe its just me. Otherwise the sizing is perfect. I went for half a size up and they are great. The boot quality is good and I'm not sending them back! Great all round boots. Snug fit, just right even with slightly thicker socks. Fit under or over my leather trousers. Very good quality leather and broke them in in no time at all. Brilliant in the rain, kept my feet toasty and dry. Great quality boots. Sizing spot on and I'm sure once broken in they'll be comfy. Do to my original Order being out of stock. I then opted for the Nomad. Have to say fit is excellent. Took very little time to break them in. Overall due circumstances I ended up with a great pair of boots. I ordered the same size as my shoe size and they fit fine, there's enough room for a thicker sock in the winter. They are easy to get on and off. The leather is fairly stiff and will need some wearing to soften it up, but I have had them on for 8 hour periods and they have been comfortable to walk round in. Originally ordered a different boot, it arrived promptly and I was kept upto date on it's delivery. However they were far too tight and I could hardly get them on so I returned them (free of charge) and waited for the replacement next size up to arrive. The delivery date got put back twice so I changed my selection to this boot. So glad I did, really happy with them (ordered the next size up) AND got let off the £10 more they cost because of my problems with arrival dates. Great customer service skills and top product with double zip, light and comfortable. 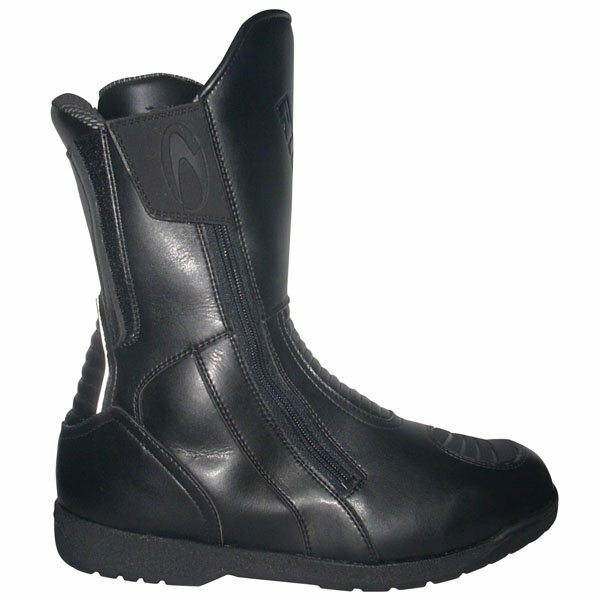 These are a well made boot which are dry and warm in winter weather. Despite having two zips they aren't as easy to get on and off as previously, hence 4 stars, but a good boot nevertheless. 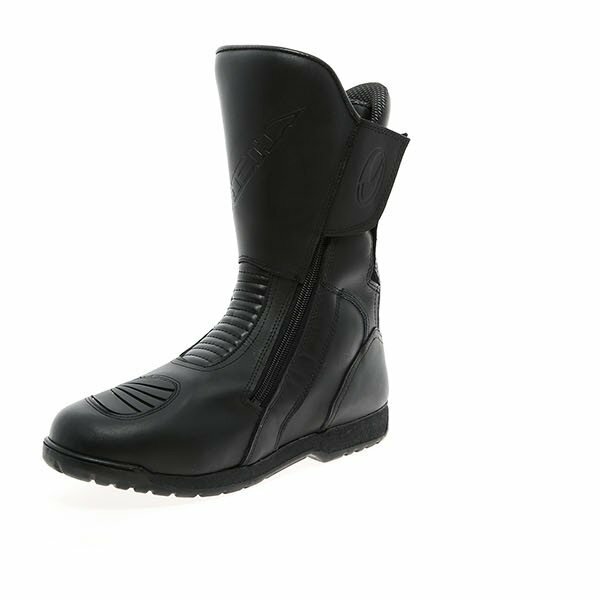 Mid length waterproof leather boot with textile padded shin panel, full length zip opening, ribbed instep and gear change panel. Please can you tell me the height of these boots? 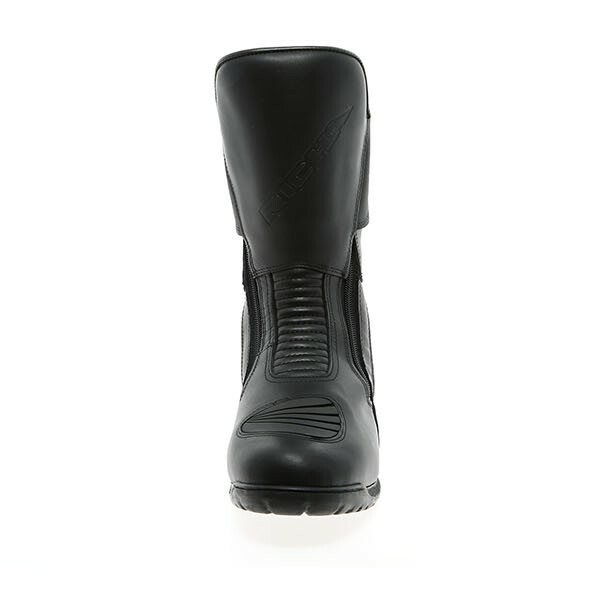 The height of the Nomad boot is approximately 12 from the bottom of the heel to the uppermost point on the calf area.